French drug maker Sanofi SA had hoped Genzyme Corp.’s high-profile production problems would be quickly put to rest when it acquired the Cambridge company. But five months after Sanofi completed its $20.1 billion takeover, supply disruptions for a pair of drugs to treat rare genetic disorders continue to dog Genzyme’s new owner. 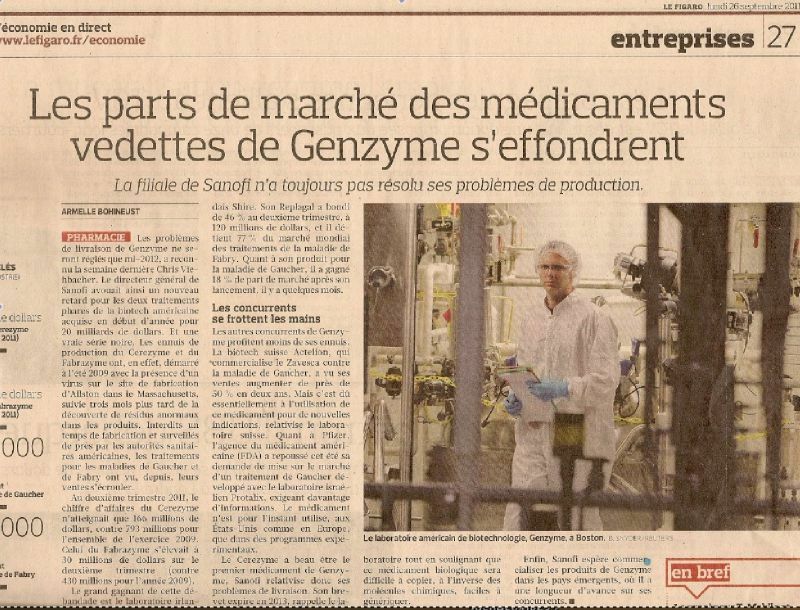 Earlier this month, Sanofi’s Genzyme division told health care providers it would reduce shipments for the next four months of its best-selling Gaucher disease drug, Cerezyme, which had recently returned to full production. Last month, the company said it was delaying shipments of its Fabry disease drug, Fabrazyme, which already had been rationed. Cerezyme patients in the United States whose normal biweekly doses had been restored in January, were temporarily back to once-a-month regimens. Fabrazyme patients faced a one-month delay in receiving already reduced dosages. “Because we have low inventory, we’ve said that any disruption in our manufacturing will be felt by the [patient] community,’’ said Genzyme spokeswoman Lori Gorski. The recent moves came after a rocky summer. Sanofi disclosed in July that it would not make a milestone payment to Genzyme investors because the company failed to meet manufacturing targets for the two drugs, made at the Allston Landing plant in Boston. Around the same time, the French company gave Bill Aitchison, previously head of manufacturing for its Sanofi Pasteur vaccines business, oversight for all of Genzyme’s biologics manufacturing operations. Aitchison replaced Scott Canute, who left the company. Sanofi’s ability to pull Genzyme out of the production morass it has been stuck in for the past two years will be key to the success of its buyout. The state of Genzyme’s manufacturing recovery was an issue hanging over the merger talks last year, with Sanofi leaders cautioning progress might be slower than their Genzyme counterparts were suggesting. The potential milestone payment, designed to bridge the parties’ differences over how much Genzyme was worth, put those competing views to the test. 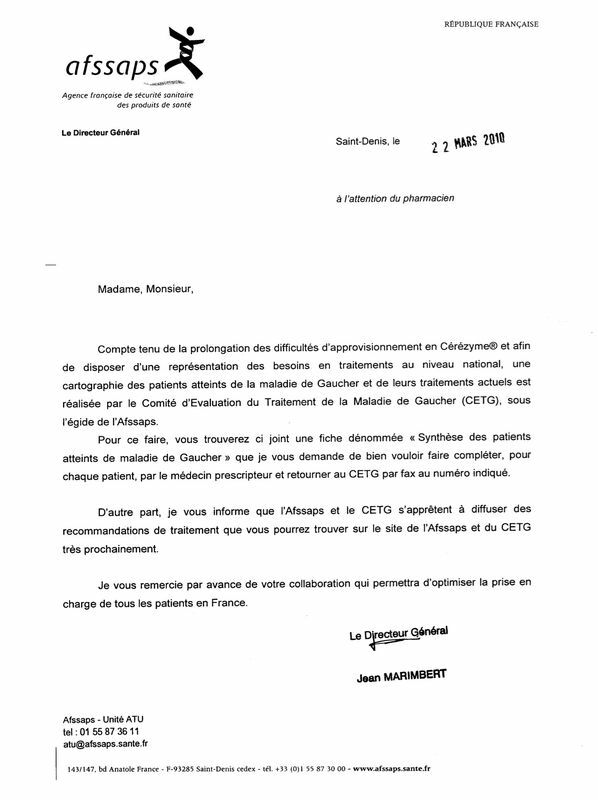 Thus far, Sanofi’s skepticism has been borne out. But as Genzyme’s new owner, Sanofi is now saddled with the responsibility to fix the problems at what had been the largest biotechnology company in Massachusetts. Sanofi can reap substantial benefits from Genzyme if it gets drug-making operations back on track, said Jonathan P. Gertler, senior partner at the Boston consulting firm Back Bay Life Science Advisors. He said Sanofi, with its global reach, can bring more resources to bear on ending the supply constraints than Genzyme could have as a stand-alone company. Genzyme’s Gorski said the latest setbacks were aggravated by the low inventory at Allston Landing, where drugs go out to patients as soon as they are ready. The plant continues to produce Cerezyme and Fabrazyme as the company awaits approval from the Food and Drug Administration to open a new facility in Framingham next year. Allston Landing, on the banks of the Charles River, was the site of a virus found in a bioreactor in the summer of 2009. That forced Genzyme to temporarily suspend production and ration doses of the enzyme replacement therapies to thousands of patients. The drugs are produced by growing genetically modified Chinese hamster ovary cells in giant bioreactors. The conditions they treat, Gaucher and Fabry diseases, cause waste to build up in the body, swelling organs. The drugs, taken intravenously about every other week, cost up to $300,000 a year per patient. Genzyme has also had to make adjustments while implementing new procedures agreed to in a so-called consent decree with the FDA last year. The plant was placed under federal oversight for seven years as it worked to correct quality control problems. Patients, however, are growing restless. Some who suffer from Gaucher disease have switched to Vpriv, a rival drug produced by Irish drug maker Shire PLC, which has based its human genetic therapies division in Lexington. Some Fabry disease patients, who have been reduced to one dose or a half dose a month from their normal two a month for the past two years, might be open to switching to an alternative treatment - if there was one on the market. While many Fabry patients have been able to tolerate the reduced dosages, some have experienced pain, gastrointestinal problems, or other conditions, Johnson said. Members of the Fabry group were in Washington, D.C., last week to discuss their predicament with FDA officials. Johnson said they are urging the agency to fast-track alternative Fabry disease treatments being developed by Shire and New Jersey-based Amicus Therapeutics Inc. But they are also urging the agency to speed approval of Genzyme’s plant in Framingham, where Fabrazyme will be made. One consultant said Sanofi can reap substantial benefits from Genzyme if it gets the drug-making operations on track. Its an absolutely critical issue for Sanofi, said Jonathan P. Gertler.